The paper On the Influence of Multiple Faults on Coverage-Based Fault Localization in the proceedings was unfortunately corrupted, some characters in the figures did not show up correctly. We have updated the paper in the online version. Thanks to Tom Zimmermann there’s now a Windows Phone App that shows you the complete ISSTA schedule. Thanks Tom! 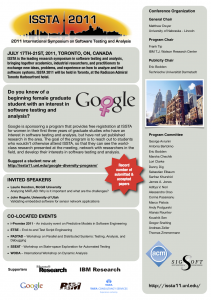 Google is sponsoring a program that provides free registration at ISSTA for women in their first three years of graduate studies who have an interest in software testing and analysis, but have not yet published research in the area. The goal of the program is to reach out to students who wouldn’t otherwise attend ISSTA, so that they can see the world-class research presented at the meeting, network with researchers in the field, and develop their interests in software testing and analysis. The following Awardees have now been selected. Congratulations! The SIGSOFT-CAPS program provides financial assistance to students to help defray costs of attending SIGSOFT-sponsored conferences and workshops. Please visit SIGSOFT CAPS website for more information. The following Awardees have now been selected for CAPS. Congratulations! Room assignments are now available online. 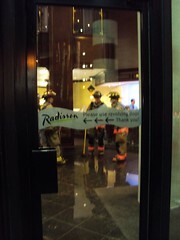 Most talks will take place in the Ballroom but for parallel tracks the Ballroom will be split into Salon A and Salon B. Also note that for organizational reasons we had to move a couple of sessions. They all remain on the same day as before but your session(s) may have moved from the morning to the afternoon or vice versa. The program committee is pleased to announce that at ISSTA the following papers will be awarded an ACM SIGSOFT Distinguished Paper Award. The choice was not easy, as we had quite a number of excellent paper submissions. Congratulations to the authors! We invite you all to participate in ISSTA 2011! Read our call for participation here! Session chairs have now been assigned. Please consult the program for details. Today we have put the ISSTA 2011 program online. This year, ISSTA received an all-time high number of submissions and we also accepted an all-time high number of excellent research papers. They should surely make for an interesting program. ISSTA will also feature two excellent invited speakers. 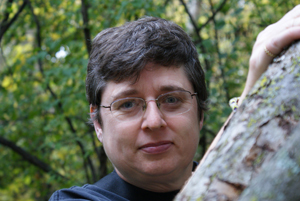 Laurie Hendren will describe her work on applying and adapting program analysis techniques to model-driven development, e.g., Matlab. John Regehr will discuss the challenges arising in validating embedded software for sensor network applications. Finally, registration is open now. We hope to see you there! an invitation to special events to network with established ISSTA researchers. The ISSTA webpage will automatically display the most popular photos from this group.